parisbreakfasts.blogspot.fr Excellent pictures and drawings of current events in France. A picture's worth a thousand words! Cuisine Photos : Fotosearch.com Professional stock photography and clipart at prices you can afford. Images of France : GoGraph.com Your Ultimate Source of Web Graphics. French Art Prints : Barewalls.com THE WORLD'S BEST POSTERS AND ART PRINTS ARE AT BAREWALLS.COM! France Posters and Wall Artt : FreeArt.com WHERE THE SMALL PRINT SIZE IS ALWAYS FREE and is gallery quality! www.jillbutler.com Jill Butler is the author of three French/Paris related books ; she has an interesting website where she displays her artwork and products. Discover great meals for as little as 20 Euros per person which include three courses, wine and coffee. 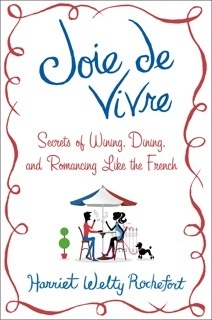 Keep the guide handy while you're in Paris because it will put you directly in the shoes of a taste-seeking American, Adrian Beerman Leeds, who has explored every nook and cranny of Paris just for the pleasure of eating very well for very little money. www.frenchlinks.com Information on Rachel Kaplan's informative books on Little Known Museums in Paris, London and Berlin and her French Links cultural tours. A must for those who think they've done it all! www.discoverfrance.net A very comprehensive and educational site on France and the French ; a goldmine on the different regions of France (history, tourism, etc...). www.wfi.fr/ WebFrance International is a Paris-based Web site developer primarily of sites about Paris, France and the French culture and has published a series of electronic "Paris Insider Guides". This site is a comprehensive directory of its clients and guides and provides valuable links to resources for Paris visitors. Le Marais is the most Romantic part of Paris : find out every month what's going on in le Marais and get the best deals for your next trip ! Living in France : a very knowledgeable Web site (and magazine), everything is in it ! Paris Tourist Office has a very comprehensive site in English. Blvd Europe "The Magazine of European Culture"
Paris in Sites Newsletter : receive updates on Paris and WebFrance International clients every 3 weeks, by subscribing to the Paris In Sites Newsletter. Use the Web Subscription Form : this is not a discussion list, it simply updates What's New and it is free. Time Out is a very useful magazine and runs a comprehensive WebSite. For a list of commercial websites (services in Paris), click here. French literature today French literature today with a brief description of the most interesting new books. A lot of information on cultural life in Paris in this excellent blog (in French). This glossy publication is put out annually by the French Government Tourism Office in New York. 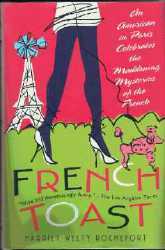 It is written by American and English writers, most of whom have lived in France for many years. Harriet is one of them and has had the opportunity for the last 6 years to travel to and to write about the Southwest, Southeast, Rhone-Alps, East and West of France. New York : Tel. 212-838 7800 ; France On Call Hotline 410-286-8310 If you've never seen the publication, contact the number we've given you to get a copy. But beware: after you read it, you'll want to book a flight to France immediately! A very useful resource about what you need to know and to do if you consider studying in France. Parler Parlor : the most popular French/English Conversation Group in Paris at Cetradel Language Center, hosted by Adrian Leeds, Elisabeth Crochard and WebFrance International. A Frenchman who lived many years in California, Baudry offers seminars on intercultural differences and has a cyberbook with fascinating psycho-analytical views. 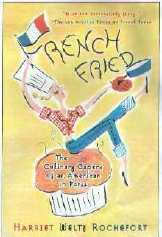 An excellent magazine published by the French-American Cultural Foundation in Washington D.C.
to order Harriet Welty Rochefort's books! Frenchplanations is an educational French-related website with information on French grammar, French vocabulary, French culture and more created from the point of view of an American who has lived in Paris. Postcards from a Runaway, a blog and a meeting place for fellow travelers created by an American writer, rambler and career nomad living well in France. DID YOU KNOW THAT.....the French are the world's most intensive bloggers ? According to the International Herald Tribune July 28, 2006, they spend more time blogging : more than an hour a day (USA : 12 minutes, UK and Germany : less than 5 minutes), with 60% of the population of internet users visiting blogs (USA : 34%, UK : 40%, Germany : 36%). More than 3 million have created a blog. Why ? Maybe because the French, more than others, like to speak about themselves ? Compared with American blogs, "...French blogs are longer, more critical, more negative, more egocentric and more provocative..." . Some observers say that "...blogs have been embraced by ordinary people and this will flip the rigid power pyramid of the French society...."
More links : For a list of commercial websites (travel, products, activities, services) click on services in Paris. This page contains links to services which, for one reason or another, have been considered potentially useful for the visitors of this site. However, this site has no commercial purpose and I hold no respnsibility for any incident which could happen with any of them. To email me and help to complete this list !